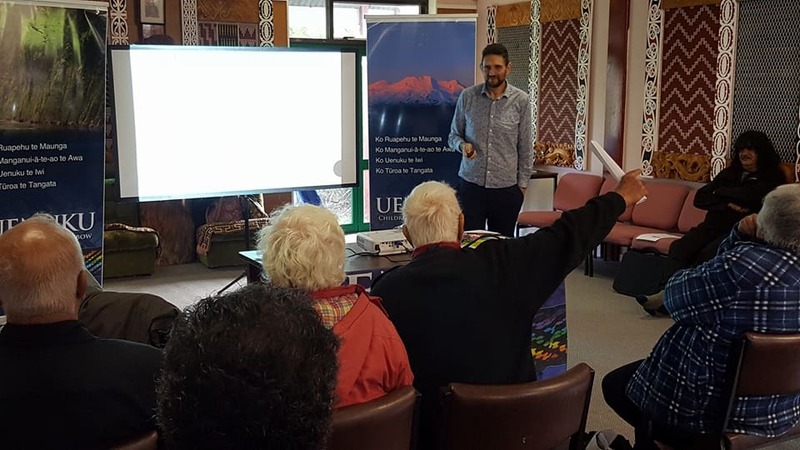 Join Lead Negotiator Chris McKenzie and the Te Korowai o Wainuiārua negotiators tonight in Whanganui for a Treaty settlement information update, 6pm, Kingsgate Hotel, 379 The Avenue, Whanganui. Nau mai, haere mai, maringi mai tātou. Uncle Buddy gives some kōrero at a previous road show in Whanganui.